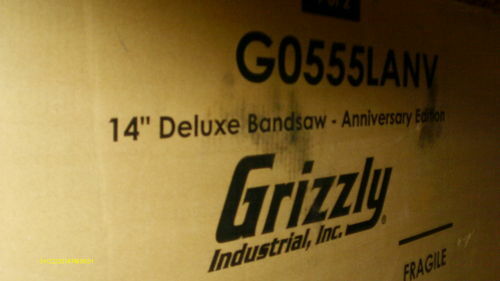 Just thought that I would do a little tool gloat… I pulled the trigger on a Grizzly GO555Lanv 14 inch Bandsaw. 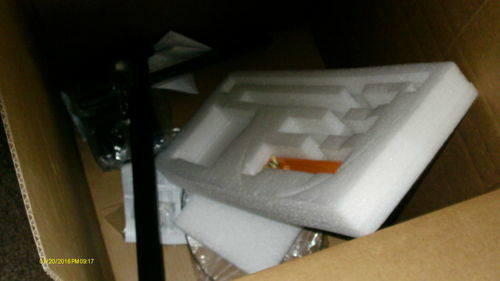 I bought the riser kit for it too. So now I am joining the big league with this. 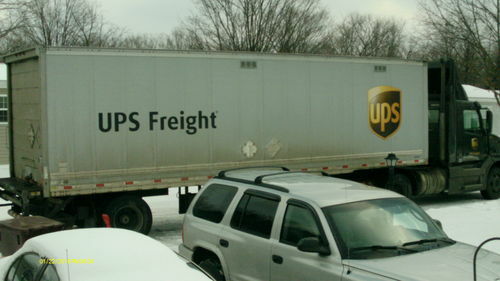 This is how it arrived. 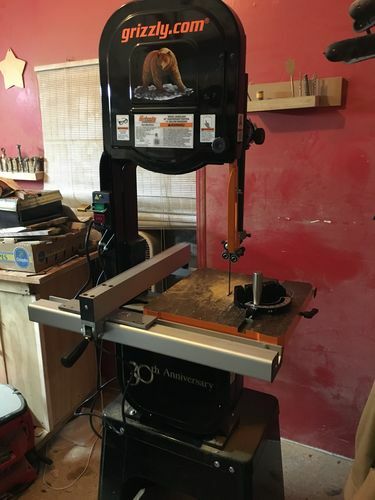 Always love getting new toys… smelling the oil on the new cast iron, mmm.. lol She looks great, 30th anniversary addition too, always cool to have something special in the shop! Would LOVE to upgrade mine but my trigger is pretty rusty. I bet this will really open up a lot more avenues to travel in the shop now that you have this. Great addition. Have fun! 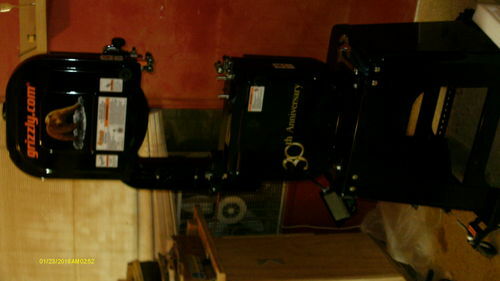 Congrats on the new bandsaw! I have their 17” so I know yours will be a real performer. After you use it for a few months how about a review? Share with us how it is preforming and any problems. Whoop Whoop for you Rick. Congrats on that fine new toy. Work/Play safe. Keep on band sawin.. Welcome to the big leagues Rick. Congrats are in order. Enjoy the new tool, the Griz is a good choice.